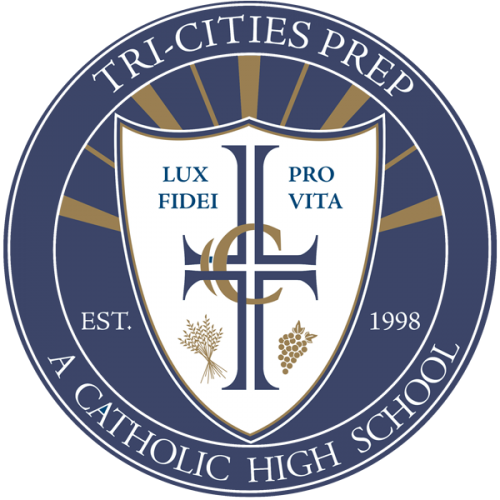 Tri-Cities Prep is the only Catholic high school in the Tri-Cities area. Founded in 1994 as a private, independent, co-educational school approved by the bishops of both the Spokane and Yakima Dioceses, Prep welcomed its first class of twenty students in August 1998. It is fully approved by the State of Washington and the Office of the Superintendent of Public Instruction. Prep is located centrally in the Tri-Cities area on Road 100 in West Pasco, just south of Interstate 182. The buildings and playing fields of the campus occupy 11-acres of a 23-acre site. The remainder of the property is reserved as a natural habitat and will serve as a future athletic/activity fields. Our goal is to admit a diverse student body of young people who will contribute their energy and special talents toward the mission.